• The key to attracting more international tourists is to reinforce Spain’s unique character through the values associated with its culture and gastronomy. • Despite the recovery of competing destinations, Spain has managed to gain market share and retain customers with greater purchasing power. • Carlos Díez de la Lastra, General Manager of Les Roches Marbella and moderator of the debate, urged hoteliers, who demand greater involvement from government entities, to lead the change. 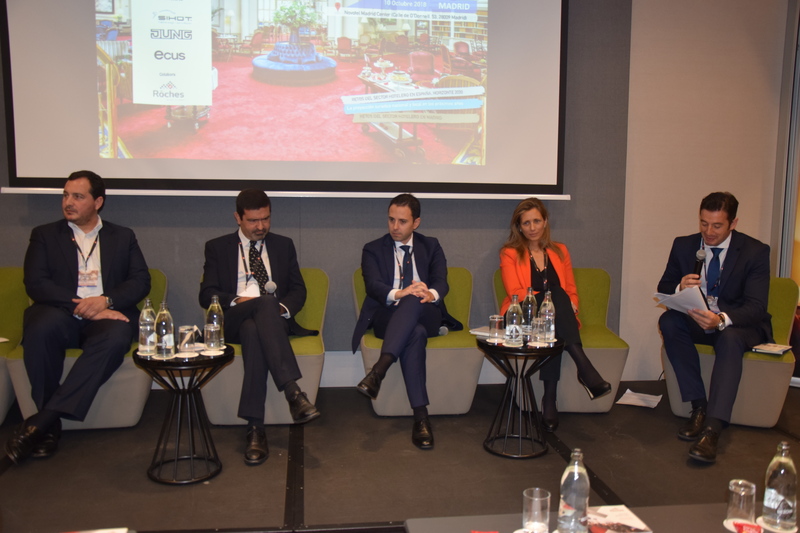 Hotel industry executives participated in the Gran Debate Hotelero, organized by Grupo Vía and held at the Novotel Madrid Center hotel on October 10, 2018. The objective: to reflect on the challenges facing the sector and analyze the role of Spain on the global tourist map, taking into account the emergence of new destinations, the emergence of new business models, and the demands of new client profiles. Moderated by Carlos Díez de la Lastra, General Manager of Les Roches Marbella, the first of two discussions panels included José Ángel Preciados, General Director of Ilunion Hotels, José Matheu, Corporate Development Director of Palladium Hotel Group, José Guillermo Díaz Montañés, CEO of Artiem; Juan Manuel García, Sales & Revenue Manager of One Shot Hotels, Inmaculada de Benito, Chief Operating Officer of Iberostar Group, Paloma Martínez, Chief Operating Officer of T3 Hospitality Management, Juan Escudero, General Director of Rafael Hotels, Jacobo Bello, Regional Operations Director of NH Hotel Group and Guillermo Pérez Palacios, General Director of Panorama Hotel Management. The speakers agreed that Spain will continue to be a leading tourist destination and that it is necessary to promote the innate values of the country to create a recognizable brand abroad. This revolves around potentiating its culture, gastronomy, heritage, and giving prevalence to quality over quantity. José Guillermo Díaz Montañés, CEO of Artie, acknowledged that the industry has experienced a period of splendor thanks to the instability of competitors such as Turkey, Tunisia, and Egypt: “We had a tourism loan, of almost 30%, and we have only lost 5%, which means that we have been able to earn a share.” Carlos Diaz de la Lastra, General Manager of Les Roches Marbella, shared his reflection but also pointed out that Spain is acquiring and retaining tourists of greater purchasing power. Inmaculada de Benito, Chief Operating Officer of Iberostar Group, believes that it is time to stop measuring the economy of tourism in terms of numbers. “We can not continue to grow only by increasing the number of tourists. We have to move towards value, and that requires implementing a global tourism policy led private enterprise.” The hotel and tourism industry’s policies, according to José Ángel Preciados, General Director of Ilunion Hotels, should begin to be less short-sighted. He said, “There industry’s regulations are very heterogeneous in Spain. It is important that we work on long-term policies, which will allow us to build on the concept of a national brand which goes beyond the sun and beach formula, and enables us to assume the arrival of more travelers.”Spain’s hotels undoubtedly represent one of the key points of the tourism industry. In fact, according to Carlos Díez de la Lastra, “we are world leaders in vacation accommodation; a reality that must also be countered with new experiences that help us to retain and attract tourists outside the summer season “. The client, says Inmaculada de Benito, does not just look for quality. “Not only do you have to renovate infrastructures. Our goal is to surprise and provide superior value to your stay. ” A line of work common to all, which puts at the epicenter of customer service and their needs. So José Matheu, Corporate Development Director of Palladium Hotel Group, believes that differentiation is the key to success. “We seek to convert our customers into fans and make the hotel itself a destination. All our novelties are designed so that there is a sensory experience from the beginning, capable of surprising the guest “. José Guillermo Díaz Montañés assures that the irruption of the tourist houses has managed to understand that “the business model is changed; those who decide to do what they have always done will not survive. ” For Carlos Díaz de la Lastra, the key is to apply regulation. “There has to be fiscal control and a commitment of transparency on the part of the platforms to eliminate also the feeling of frustration and lack of control that is experienced within the hotel sector.” In fact, Inmaculada de Benito, who states that “disorderly development on a national scale causes problems of coexistence and can create tourist-phobia when it affects traditional business”. According to Inmaculada, the industry is committed to establishing a “tourism policy that eliminates intrusive business, the underground economy and allows everyone involved to compete equally. Madrid is ranked number 1 for the number of hotels under planning and construction nationwide, with 14 new projects that will be added to the 810 hotels that were operating in 2017. A boost that, according to Jacobo Bello, Regional Operations Director of NH Hotel Group, represents an opportunity for the sector at all levels. “Any investment is positive, not only for the new openings but also for the renewal of current positions and the generation of new jobs.” But, in addition, according to Bello, it gives us the possibility of gaining a share in international tourism. 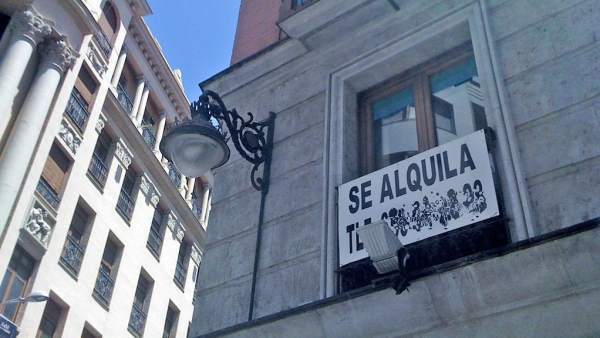 “Madrid still depends a lot on the national tourist profile and these openings force us to raise the bar. Our goal should be to increase the number of foreign tourists by 60%. From 2014 to 2017 we have increased by 20%, and although we are on the right track, we are far from other capitals. 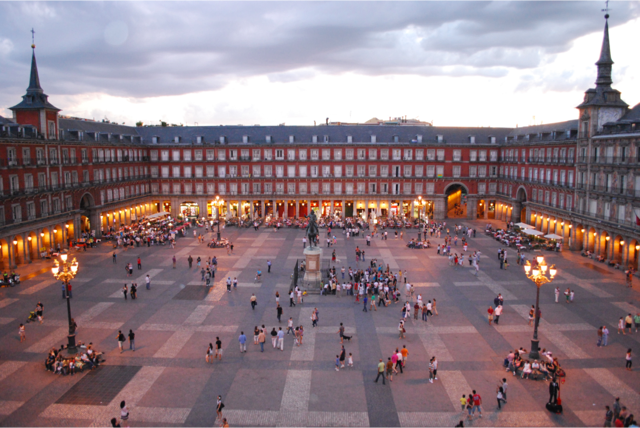 In the Community of Madrid, tourism accounts for 6% of GDP and 12% of employment. Therefore, we must demand budgets according to this “.